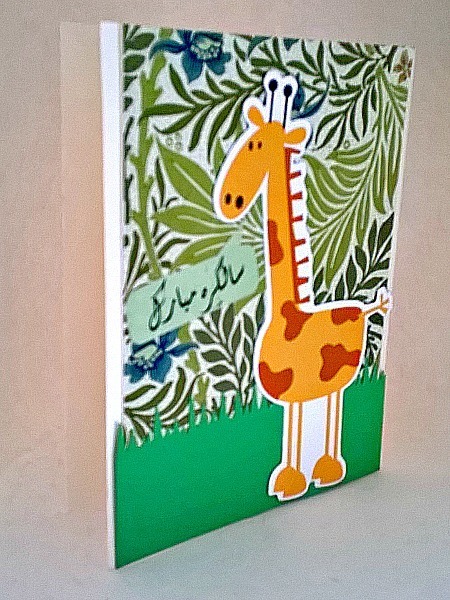 This cute Urdu birthday card is perfect for a child or an giraffe lover. 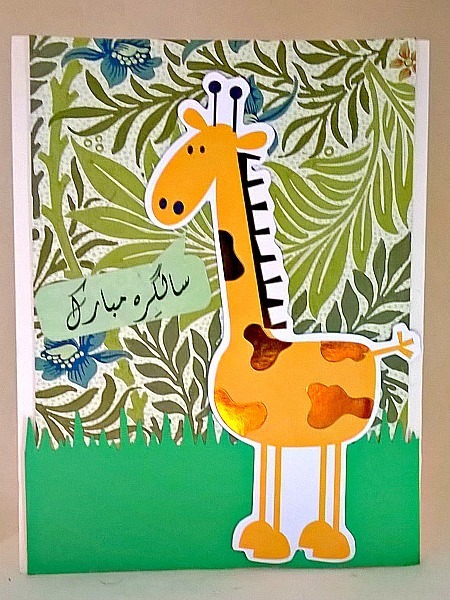 It features a giraffe saying salgirah mubarak (happy birthday in Urdu). He is standing in front of a green leaf designed background so he can eat all day long. 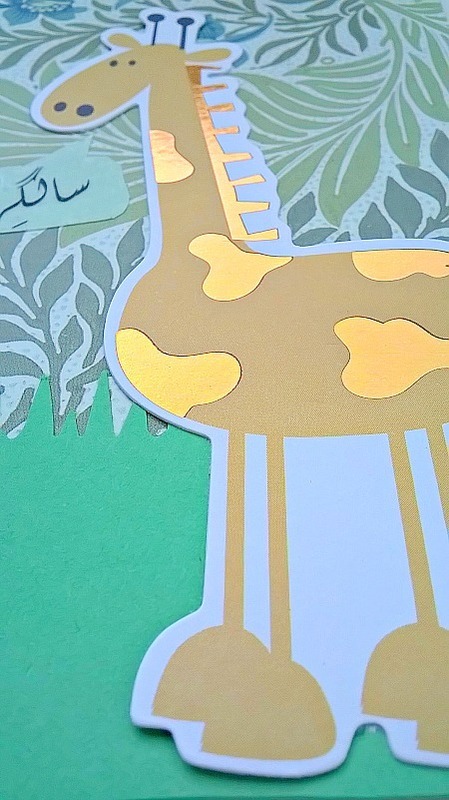 There is also a solid green grass cardstock that has been added to the bottom of the card. The giraffe has a mane and spots made from shiny material, so he sparkles in the sunshine. The card is blank inside, so you may add your own personal message.